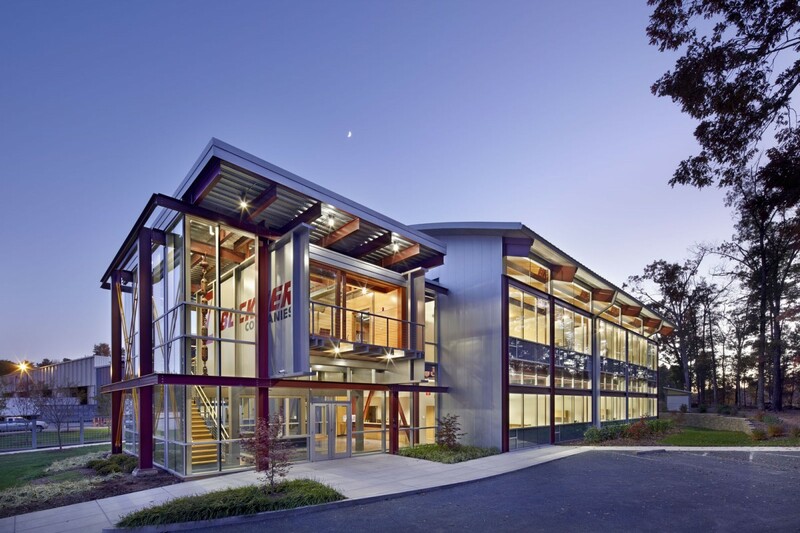 Leaders of Buckner Companies, a North Carolina-based steel erector and crane rental provider, envisioned headquarters that would highlight their past projects and expose the steel that is often covered up when designing and constructing a new building. 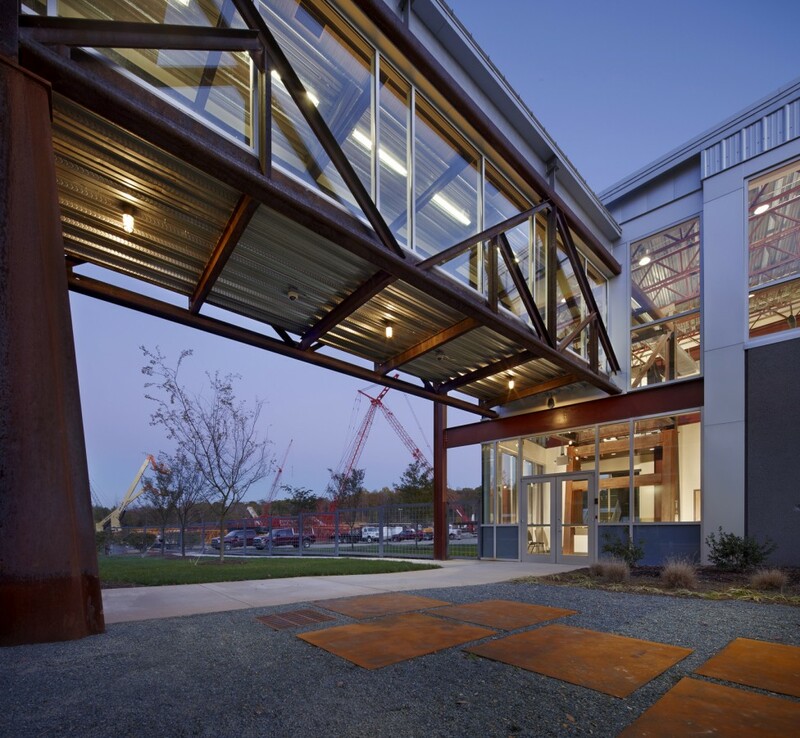 In order to show clients and visitors the role that structural steel plays in almost every building, they began designing this one-of-a-kind building. 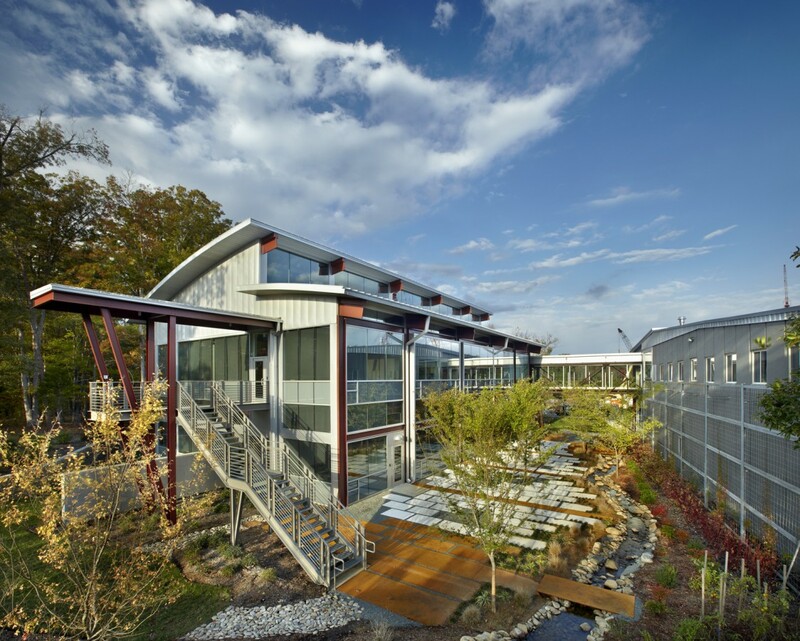 As a result, they now have a 12,000-square-foot, two-story building that exposes steel framework, glass, electrical, HVAC, plumbing and mechanical systems from both the inside and out. Almost 40 percent of the building materials were re-used items from the Buckner “bone yard” where they have kept parts and pieces of projects for the last 62 years. 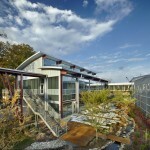 The result is not only a more sustainable design through the practice of re-use, but also an aesthetically interesting and “cool” environment. 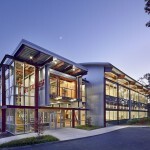 Examples include the Buckner conference room, which was built from girders recovered from a renovation of Clemson University’s Littlejohn Coliseum; a connecting bridge originally erected by Buckner in 1972 on the campus of UNC Chapel Hill recently removed and salvaged was re-erected at the new headquarters to connect the new building with existing buildings; and Glulam wood framing recovered from the Raleigh-Durham International Airport Terminal 2 project that creates a curved ceiling. 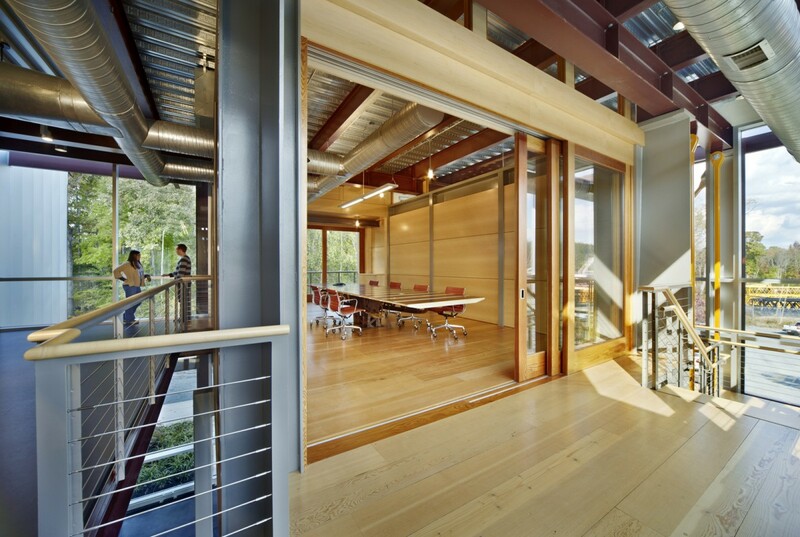 With regard to the uniquely challenging structural aspects of the project, the roof was constructed with curved laminated wood beams with a long span acoustical deck. The floor is composite steel with spread footing foundations. 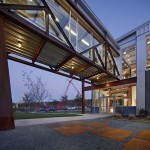 The building is a lateral system with braced frames in one direction and moment frames in the other.